Home / android / blackberry / blackberry neon / google / smartphone / BlackBerry Neon Specs, Price and Availability. BlackBerry Neon Specs, Price and Availability. Blackberry recently announce the newest additional to their smartphone lineup, the Blackberry DTEK50 or also known as the BlackBerry Neon. 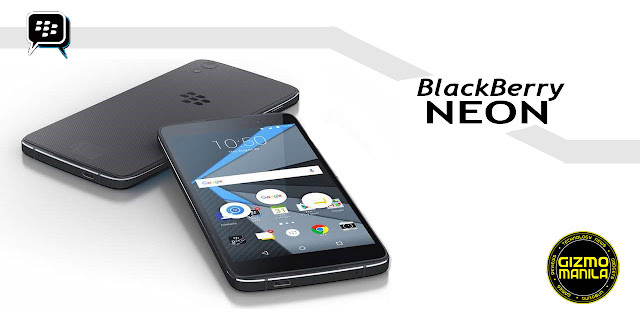 The new smartphone is running on Android Marshmallow OS, as BlackBerry is now fully supported Android. The Neon packs a 5.2-inch Full-HD display with Snapdragon 617 processor and 3GB of RAM. There will also be 16GB storage, 13 megapixel rear camera, 8 megapixel front camera, and a 2610 mAh battery with Qualcomm Quick Charge 2.0. 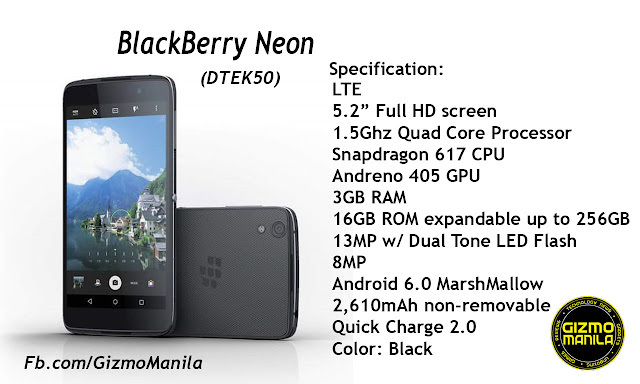 The BlackBerry Neon will be available in selected country next week and will be selling at $350 or 15k-18k pesos. For more news follow us at Fb.com/GizmoManila.